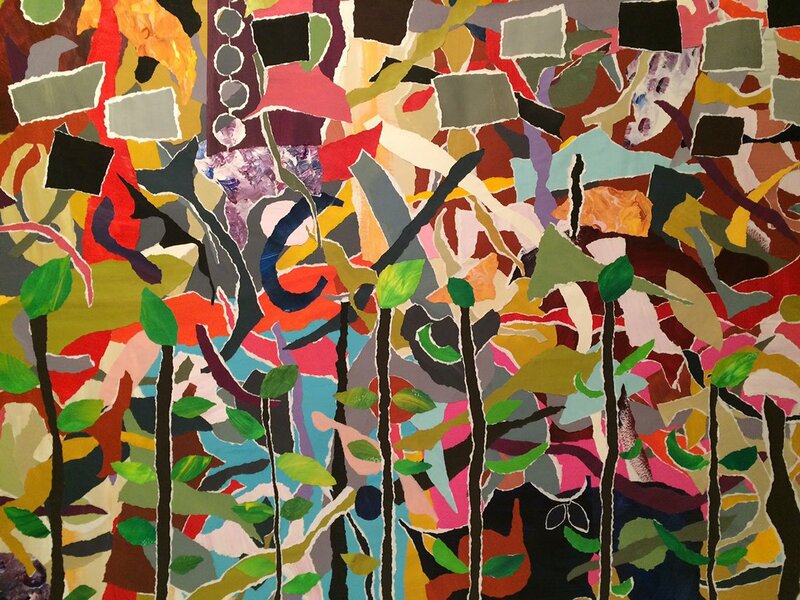 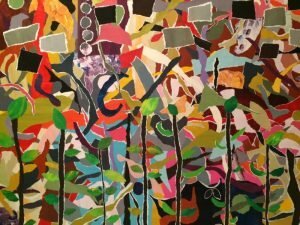 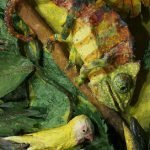 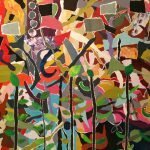 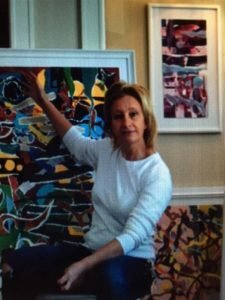 Please join Helen for informal conversation and light refreshments while learning more about how she makes her unique collage paintings. 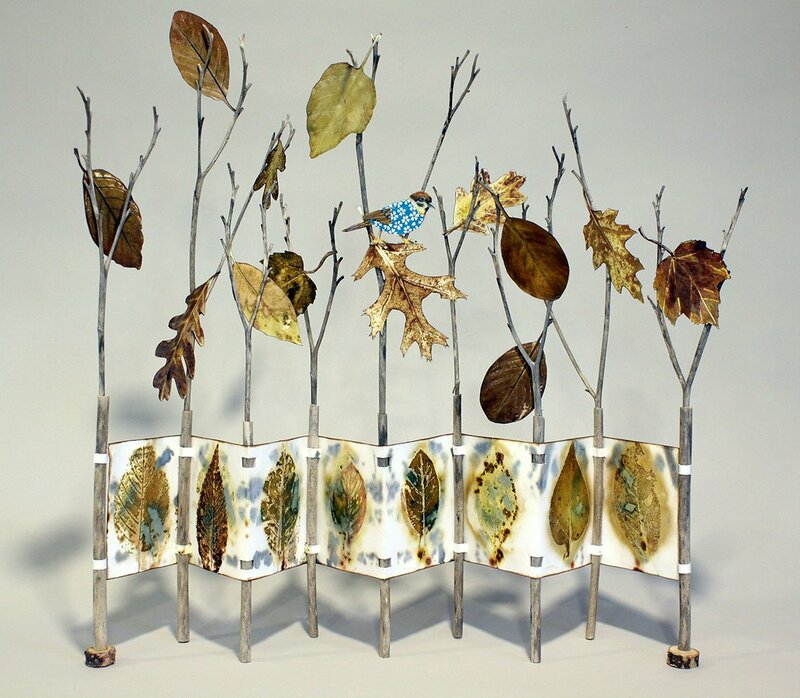 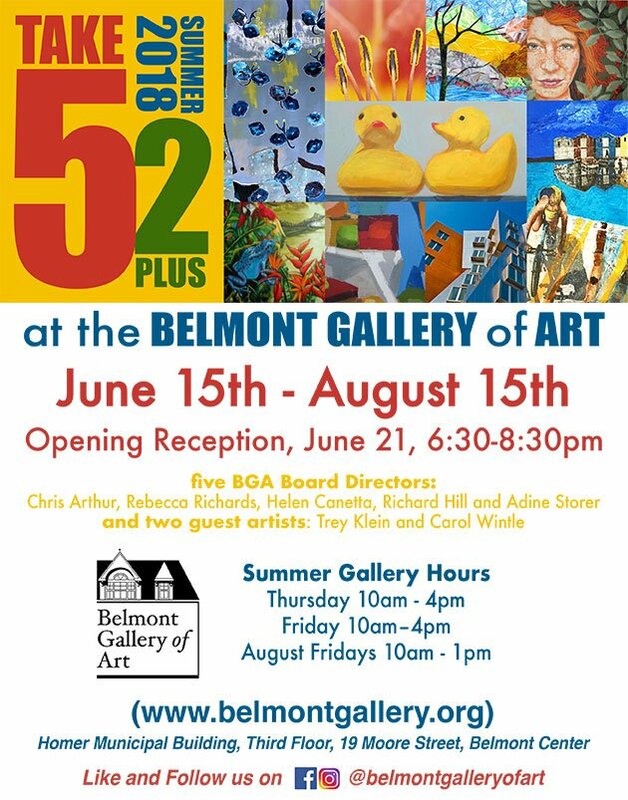 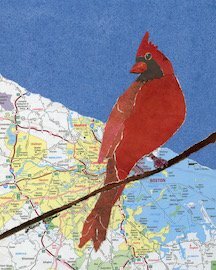 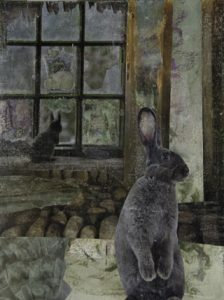 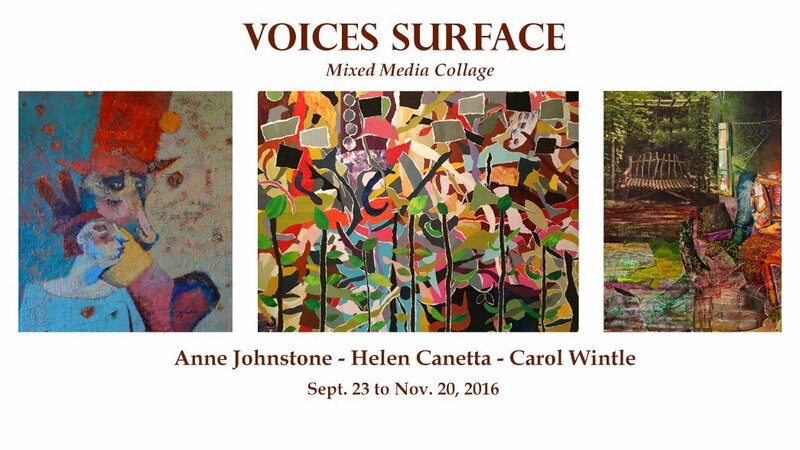 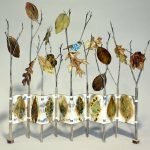 “Voices Surface” features three distinct styles from three unique women artists: Anne Johnstone, (and Belmont Art Association members) Helen Canetta and Carol Wintle. 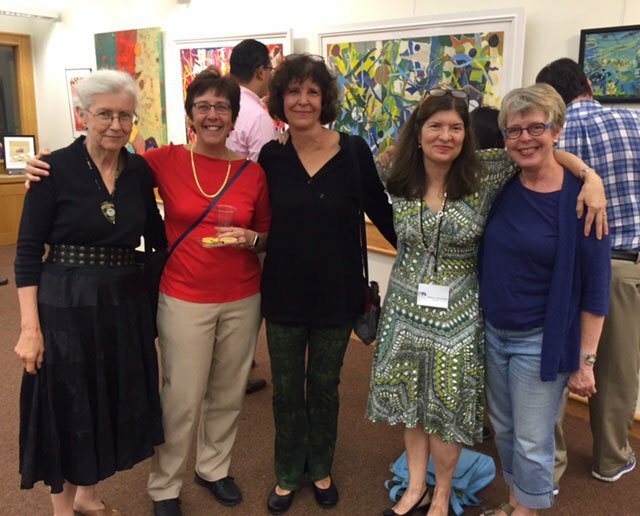 Voices Surface artists (l to r) Anne Johnstone, Helen Canetta and Carol Wintle, with BGA Director Rebecca Richards, at exhibit opening Sept 23. 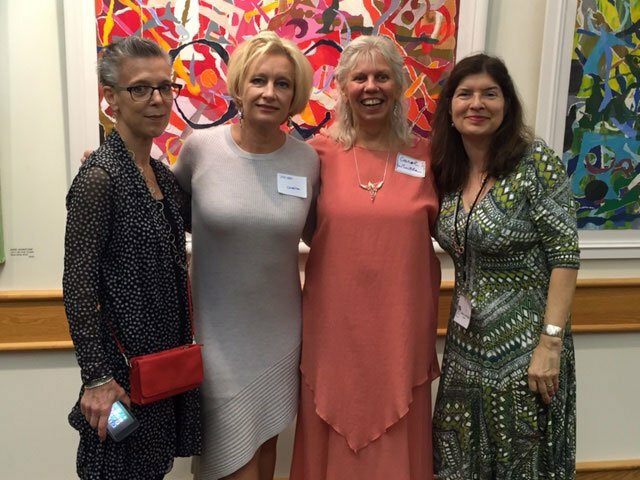 Belmont artists Mathilde Duffy, Juliette Carignan and Kay Hudgins with former BGA board member Christine Sandvik (center) and BGA director Rebecca Richards. 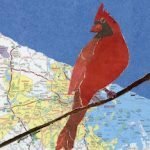 Stay tuned for additional October Friday night hours!